If your life has been feeling a little lacklustre, owing to the fact that your kitchen is sadly Harry Potter-less, you’re about to feel a whole bunch better right about now! Perhaps you need to whip up a little magic in the kitchen and are seriously deficient in house elves? Never fear. The good folk at Williams-Sonoma have your back. 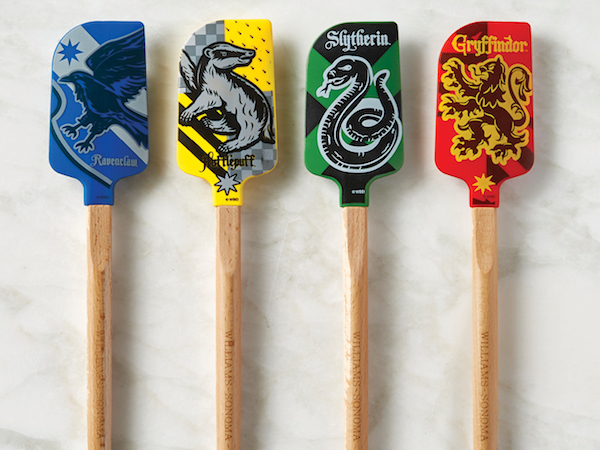 Not only have they developed a brilliant range of Harry Potter kitchen products, it’s themed in the famous Hogwarts houses – Gryffindor, Slytherin, Hufflepuff and Ravenclaw. They must have known you had a hankering to sport your house colours as you conjure up all the delicious things! 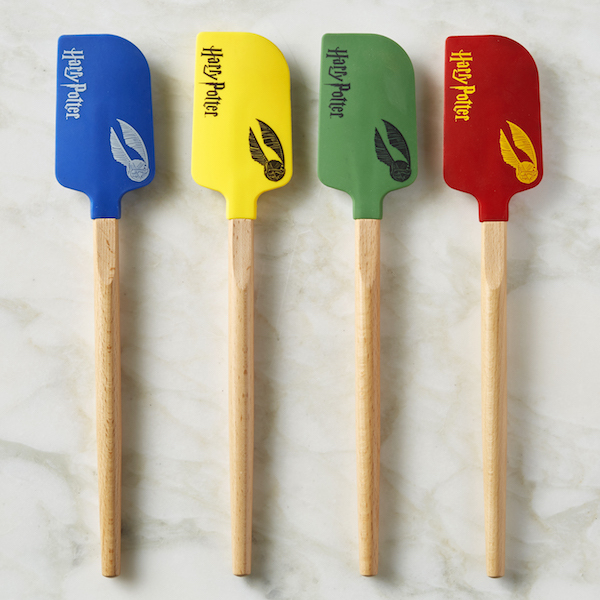 At the moment, the offical Warner Bros-licensed range includes magical kitchen wands silicone spatulas printed in Hogwarts house emblems AND cotton-twill aprons, which feature a handy-dandy house emblem-printed pocket. 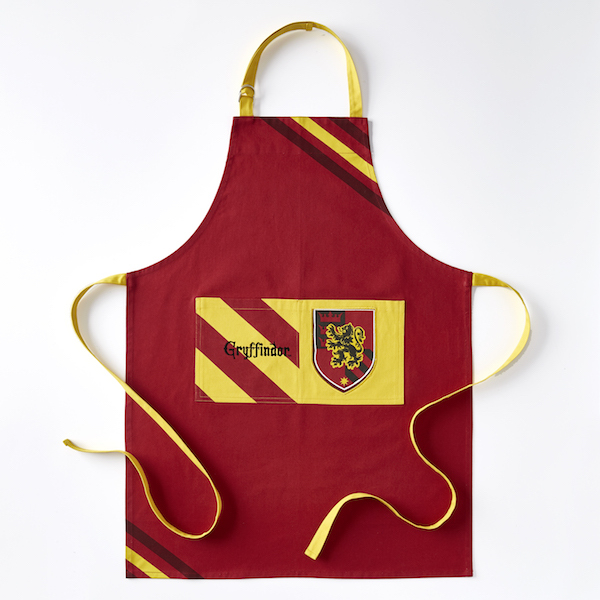 The aprons are available in kids’ and adult sizes, so no matter the age of your Harry fan, there is something to stop them getting splattered as they whip up supper at yours! 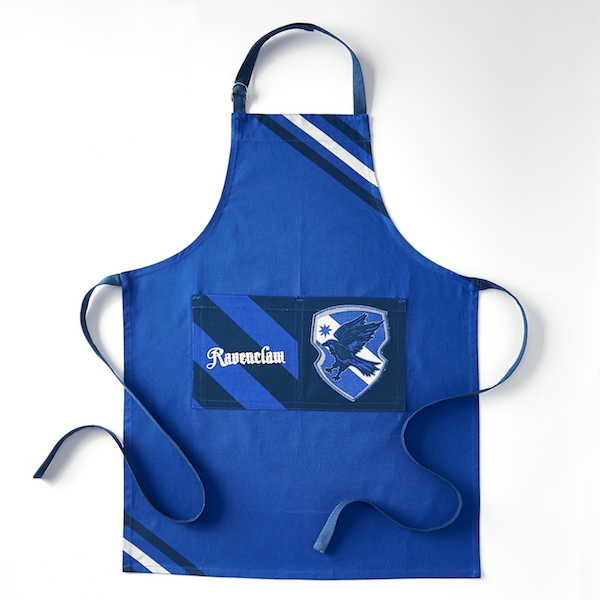 The aprons retail at $24.95 US (around $32 AUD) for the kids’ size or $34.95 (around $45 AUD) for the adult sizes. For an extra $10 you can have them monogrammed which makes them the perfect gift for the JK Rowling tragic in your life. The spatulas are $12.95 US (around $17 AUD) and might double as a wand if the magic you want to do involves stirring or scraping something foodie in MUCH more magical style than your next-door neighbour. These Potter products are currently available via Williams-Sonoma’s US site, and they look to be selling out super-speedily. We suggest clicking “add to cart” promptly so you can be correctly kitted up when you’re making Treacle Tarts or Sherbet Lemons or Hogwarts famous Steak and Kidney Pies, even? Wingardium leviosa some over here, stat, W-S!